This PR introduces serve as the new suggested way of handling create-react-app projects in production. However, it also ensures that the docs clearly state that this is only a good idea inside Node.js environments. For all other platforms (or servers that aren't static-only), we still provide the user with a clear explanation of what to do in theses cases. Are there are any benefits compared to pushstate-server? How does serve handle media files? Does it have a whitelist? Not sure what you mean with "whitelist", but media files are streamed to the client. I decided to not render a fancy video/audio player or something, because browser usually do this by themselves. I mean stuff like this: scottcorgan/pushstate-server#21. Do you also have a whitelist of files that should be served? Or do you use file when it exists, and fallback to HTML otherwise? @gaearon Correct. All files that aren't found will fallback to the index.html file, so that the user can provide an error on the client side. But this only happens when using -s or --single, of course. If you're not serving a single page application (using the flag), you'll get a 404 error for these files. There's also -i and --ignore for hiding files from the directory listing. Is 3000 the default? 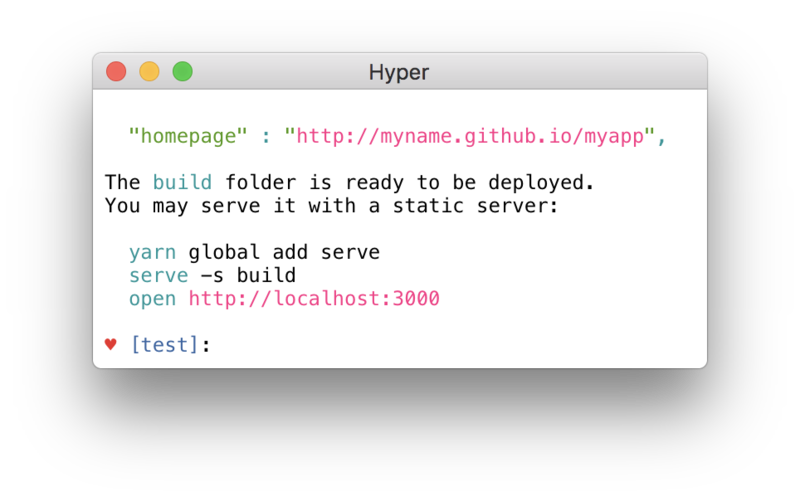 It might be confusing for our users who already have npm start running on 3000 by default, and want to test their production build without stopping the devserver. @gaearon Another great thing about serve is that it cares about the port already being in use. If it is, it will show a big red message and use an open one. 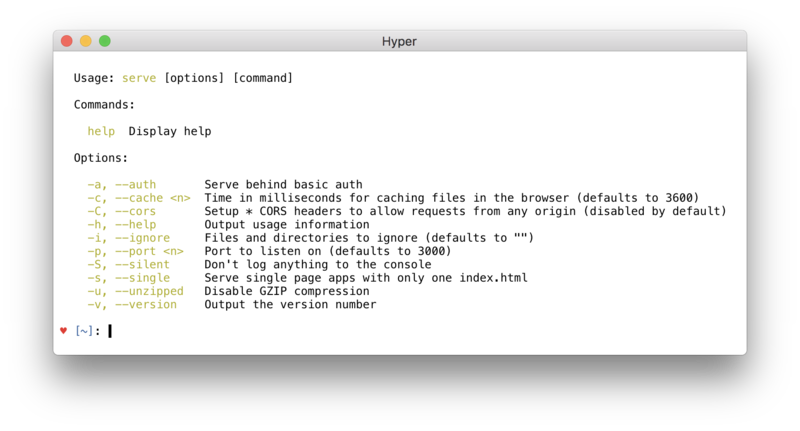 The URL will be copied to the clipboard automatically in addition. As the last great thing, it will also show the URL on the network. It should have been serve build -s, because it would have otherwise treated "build" as the value for the -s flag. But I just fixed this and released it with 4.0.2. Now serve -s build works as well. I still think CRA users will be potentially confused by the default port of 3000. Maybe I don't have a dev server running, launch the prod bundle, close the laptop, later reopen it, see 3000 running, and think it's my devserver. Then I'll be surprised editing files has no effect. If serve keeps 3000 as default port, I suggest changing the suggested command to show 9000. I wanted to do a major release either way sometime (to change something in the API). I also didn't like how most other apps (same for Next.js) were using 3000 and serve always had to choose a different new port in these cases. So I just released 5.0.0, which switches the default port to 5000. Can we remove the open command from suggested list? Since serve prints the port itself anyway I don't think we really need this. While we're at it.. Can you promise it works on Windows just as fine? Just talked to a friend who has been using it for quite some time on Win now and he confirmed that it works just as fine as on macOS (same for me). I also ensured that the -s and --single work fine and yes, they do. Oh. I noticed that under certain conditions, it doesn't show the output message (but rendering the page works). Fixing! Does the "pasted to clipboard" thing work on Windows? Copying to clipboard using a package generally doesn't work inside a linux subsystem on win. But IT DOES work on Windows itself, so the answer is: Yes! 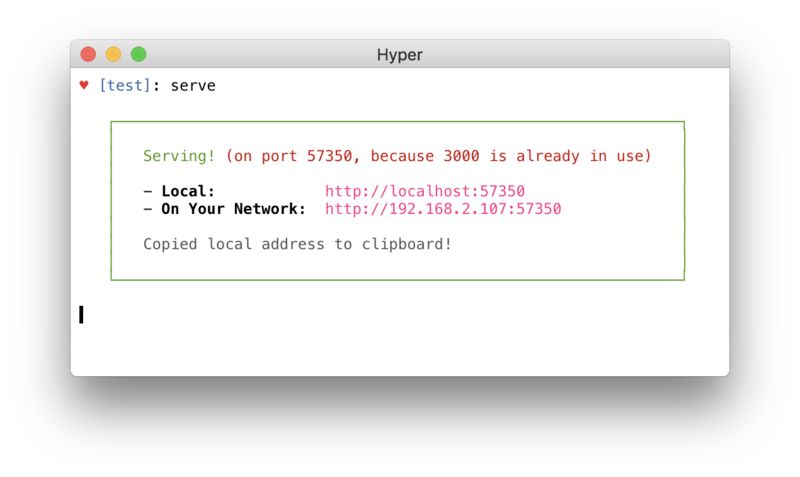 My only concern here is SimpleHTTPServer isn't really meant for production. Do you think there's a good way to reword it, or an alternative example that would fit better? This is good. Thanks for attention to detail. 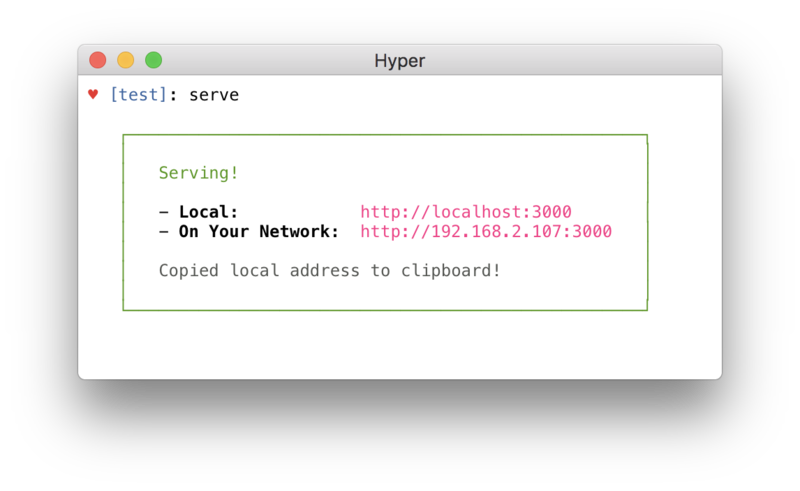 Why didnt add "serve" script to npm? We could, but I’m concerned people will try to use it instead of start and miss out on developer warnings. IMO it’s easy enough to add by yourself once you know what it does. What @gaearon mentioned above is now solved as per this. You can use -l <port> for setting the port and --single (just like before) for getting a rewrite-preset for serving an SPA. Sorry for the inconvenience we've caused!